Coughs can not only be annoying, but they can keep you up throughout the night when you should be sleeping. Whether you’re suffering from a chesty, mucus or dry and tickly cough – no matter the symptoms – you want to know how to stop a cough at night, and fast. With tips and tricks that are out in the world, and proven night cough remedies, you’re able to sleep better at night. Some say hot teas are the best way to soothe a sore throat, moisten the upper respiratory tract and calm a cough. Avoid any tea with caffeine in them, and drink those with chamomile and honey. If that does not work consider having a teaspoon of honey before bed. This is a natural cough remedy. With a few drops of eucalyptus oil in your bath water, placing a small warmer by your bed or even using an ointment on your chest, inhaling the vapour helps in freer/easier breathing which can soothe coughing. 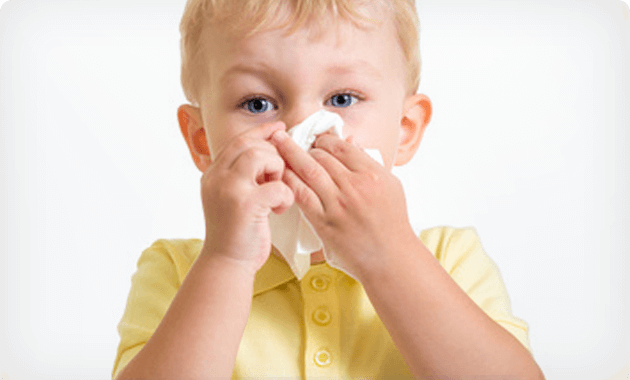 A treatment product can help relieve the specific cough symptoms that you’re suffering from. 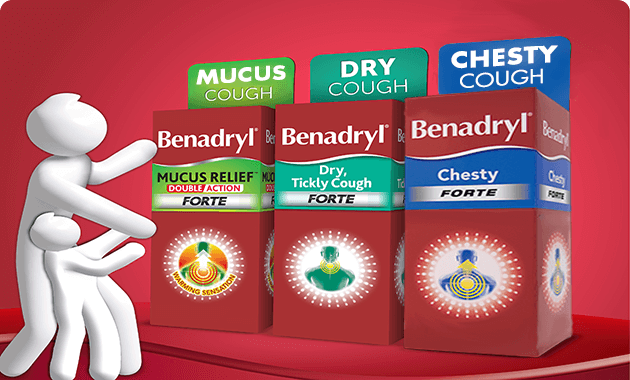 There is a range of BENADRYL® products available which can help. Your pharmacist can advise you on which product best suits your needs, depending on your cough symptoms. The steam from either will help loosen the mucus and phlegm that are sitting in the upper airways. While this might make you cough and have mucus run from your nose a lot, it is clearing the system out so it can help shorten the duration of your sickness. Laying on your back can cause nasal drip to be much worse than laying on your side or your stomach. Elevated sleeping can do wonders. Prop a few pillows up behind you to open the airways and move the mucus. Sleeping on a recliner can have the same effect when trying this night cough treatment. Drinking enough water throughout the day help thin the mucus in your throat and make it easier to cough up. Water can do many great things for the body, but you have to have enough of it throughout the day for any real benefits. This helps to provide moisture into the air where there might not be much. When trying to breathe dry air, the passages will become dry, causing the cough. With moisture in the air, the cough is less likely to happen. Some humidifiers have places to place vapour rub on them. This emits a peppermint like smell throughout the room that helps open airways. If you find that you’re still coughing come night time, consider speaking with your healthcare professional for more advice on how to stop a cough at night. Infections can sit in the lungs if a cough has persisted for weeks with no letting up. By protecting yourself, those around you and beating the cough, you’re able to have a more peaceful night’s sleep once again using these night cough remedies to your advantage. This site is published by Johnson & Johnson Pacific Pty Limited which is solely responsible for its contents. It is intended for visitors from Australia only.